OK, so after a couple of weeks I think I may have my portion control in the zone. 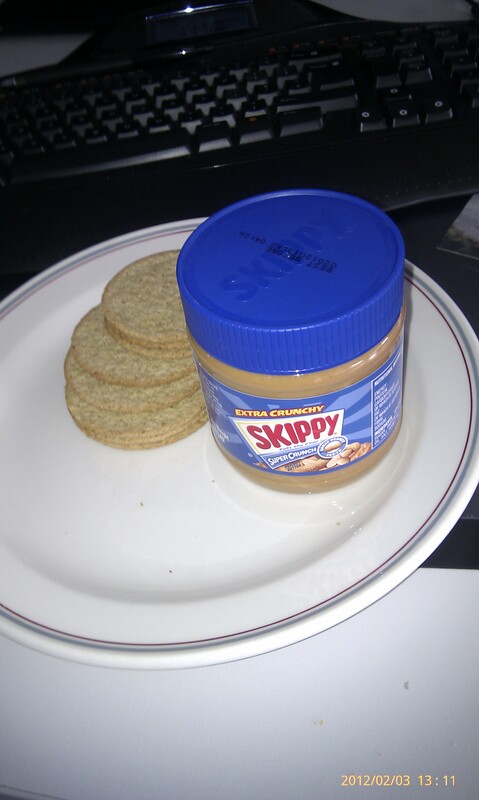 Breakfast was a simple banana and oat shake (450ml) with skimmed milk and lunch was five Nations oat cakes with peanut butter (this @Skippy Peanut Butter is really the best I’ve found, loaded with virtually whole peanuts! ), after each I have felt full and got through to the next meal with no problems. It’s Friday night now though and there are treats in the house!